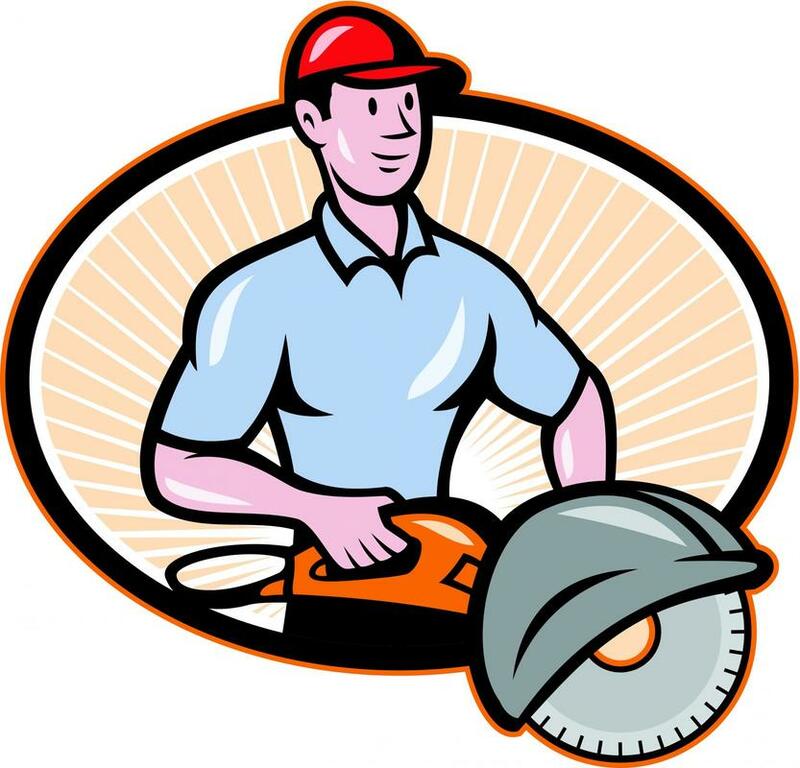 Best Residential & Commercial Epoxy Flooring Contractor In Orlando! We have been doing concrete refinishing & epoxy floors for over 10 years. If you want a reliable, durable and affordable flooring solution, you've found the right place. ​Epoxy flooring is a modern-day solution that combines the unique durability of concrete with the polished appearance of glossy flooring. Epoxy is the coating material applied to the top layer of a concrete surface, giving it a shining finish that is both sustainable and practical, leaving you with flooring that is refurbished and glistening. It’s a high-performance surface that allows users to operate machinery or other uses on it with ease, making it preferable for warehouses, indoor uses, and garages. Due to its low-maintenance properties, epoxy coatings are a flooring solution that can grant many concrete owners clean and safe conditions that comfort their everyday operations. Orlando Epoxy Pros has been serving the Orlando and surrounding area for years with quality and professional epoxy and concrete services. We’re the area’s premier concrete contractors, with a wide range of products and services that are designed to make your home or work space more functional, long-lasting, and secure. Our team of concrete experts has helped build our reputation as the city’s go-to concrete specialists, given our track record of consistent and successful concrete projects. Our cliental range from private homeowners to commercial businesses, and we’re readily available to accommodate the needs of both industries. We’ve gained experience over the years of the best practices to installing, maintaining, and polishing epoxy flooring and concrete solutions that are tailored directly to your specific needs. Our team of trained contractors are licensed professionals with the industry’s top qualifications in epoxy services. Epoxy flooring is a flooring surface applied with multiple layers of epoxy coating that is at least 2 millimeters in depth. Epoxy coating is made up of an epoxy resin and a hardener. The hardener is a reactant that holds the epoxy coating allowing it to adhere to the concrete surface. Epoxy flooring is a far more superior flooring system than bare concrete. It is not only durable and safe but also allows you to customize its look to create flooring that suits your needs and preferences. 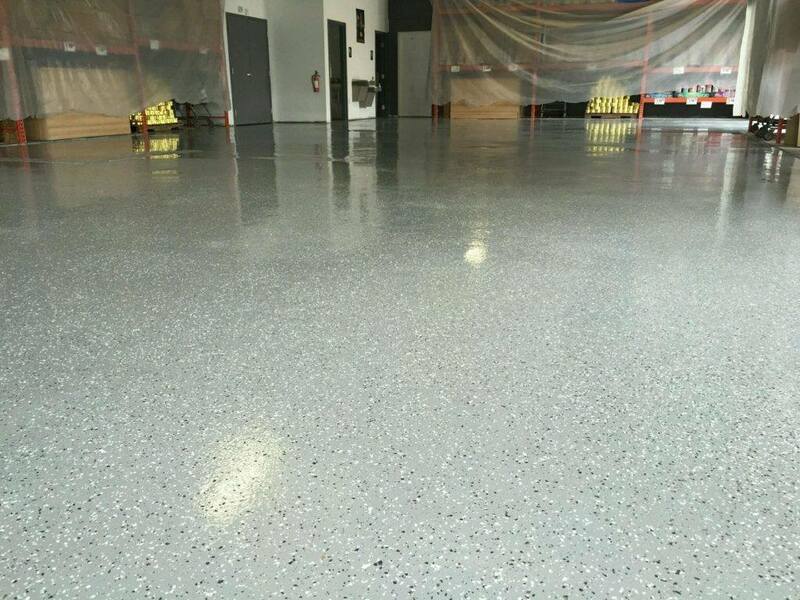 What Industries Use Epoxy & Polished Concrete Floors? ​If you are interested in learning more about how one of our many epoxy and concrete services can benefit you, you can easily book a consultation with one of our contractors to go over the details of each service. Our contractors will walk you through the logistics of our epoxy and concrete services, giving you specifics and answering questions about your space that needs attention. 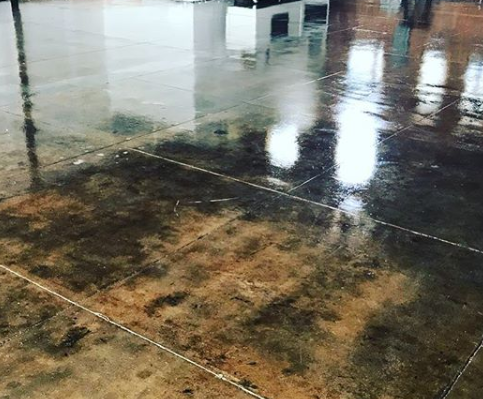 At the moment, we’re available to offer the following services to the Orlando and surrounding areas: epoxy garage; industrial epoxy; polished concrete; decorative concrete; commercial concrete floors; and industrial concrete contracting. 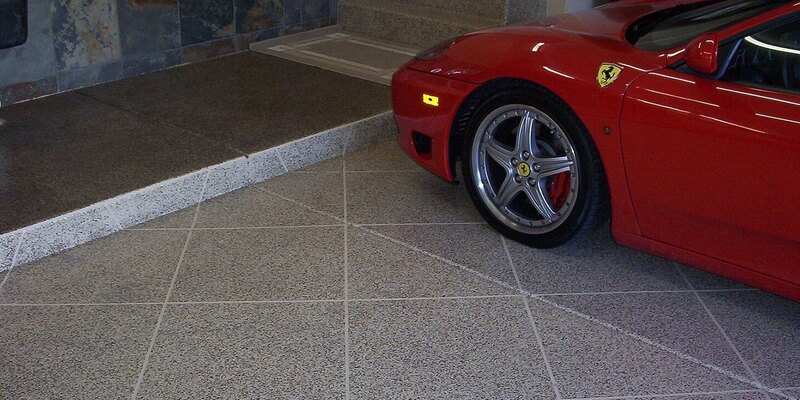 Epoxy flooring solutions have been a staple for many car owners and their garages. 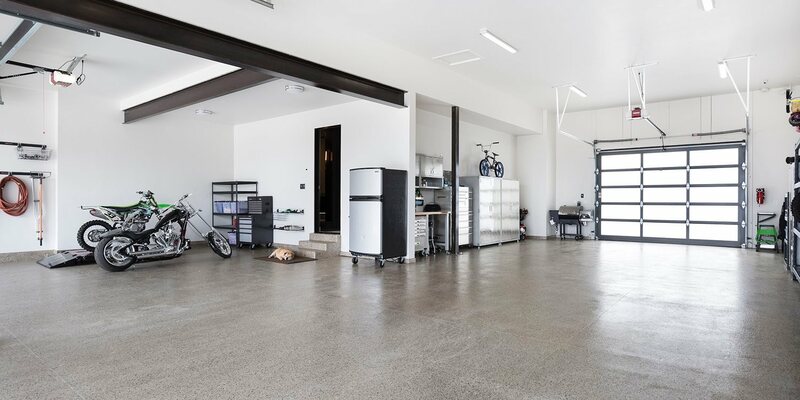 As epoxy is a strong coating material that is stain-resistant and doesn’t succumb to damage under car-related chemicals and tools, it’s a great option for those that need a durable surface to line the flooring of their garage. It provides protection and longevity to your garage floors. Industrial epoxy flooring is often requested and used in warehouses, factories, high traffic areas, and in industrial working areas where the flooring may otherwise be prone to damage from machinery, heavy equipment and much more. Industrial epoxy flooring is a durable solution for business operations in such facilities as it provides for a safe barrier between the flooring and heavy-duty equipment, impact, and harsh chemicals. ​“For our workshop, we wanted some durable epoxy flooring that would withstand the harsh chemicals and tools we work with daily. Orlando Epoxy Pros delivered just that – and in little time! They applied the epoxy coating and let it cure quickly so we were able to get back to work in no time. Thanks, guys!” – Craig R.
Considered one of the eco-friendlier concrete solutions, polished concrete makes use of recycled and existing materials combined into a unique looking composite that is durable for indoor and outdoor use. Although many use it for its aesthetic look to enhance their interiors, polished concrete is a functioning alternative to other forms of standard concrete. It has a clean and glossy finish that gives clients an appealing aesthetic for their indoor flooring, countertops, walls, and other surfaces. Looking for a way to spruce up your flooring surface with some color and personalization? Decorative concrete is a durable flooring solution that is able to do just that. Decorative concrete is for those that want to customize standard concrete from the often dull or industrial appearance it often has. By adding decorative elements to it, you can easily incorporate a durable flooring solution into your home with tasteful ease. Decorative concrete comes in a variety of applicable designs, colors, and textures that contractors can readily produce. 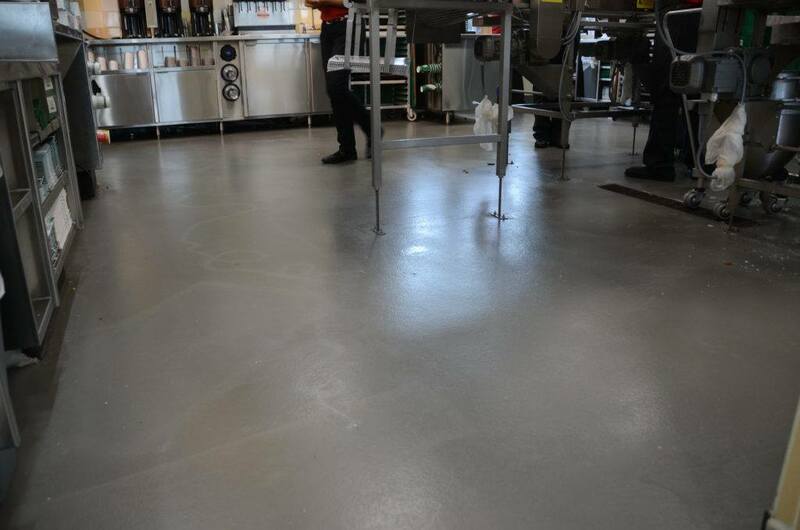 ​“We were referred to Orlando Epoxy Pros through a friend who used their services. They were able to customize our indoor concrete with textures and stamps that really made it stand out in our home. We’re extremely pleased with the results and will definitely recommend them!” – Bridget S.
Commercial concrete floors are durable solutions for large space properties and businesses that want solid flooring solutions that welcome their daily functions and guest with ease. 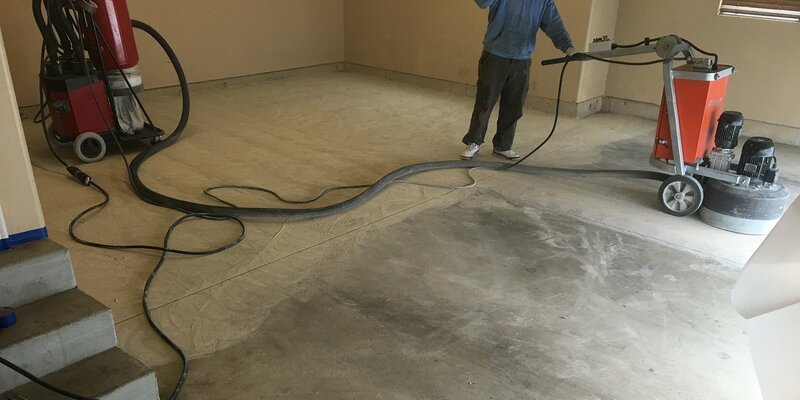 Our team has experience in installing concrete floors for commercial properties that need large-scale installations efficiently and quickly. What’s more, we’re able to customize your commercial concrete floors to match your business’s interiors and overall appearance. Like industrial epoxy flooring, industrial concrete can also be applied to other parts of buildings’ infrastructure for durability, security, and functionality. Industrial concrete is often used for foundation building, tank pads, stairways, docks, trenches, and much more. Concrete stains can be applied to old and new concrete floors. Water-based stains (dyes) are available in various colors. They can be applied inn layers to come up with faux finishes. Colors can also be blended for a one of a kind concrete floor color. 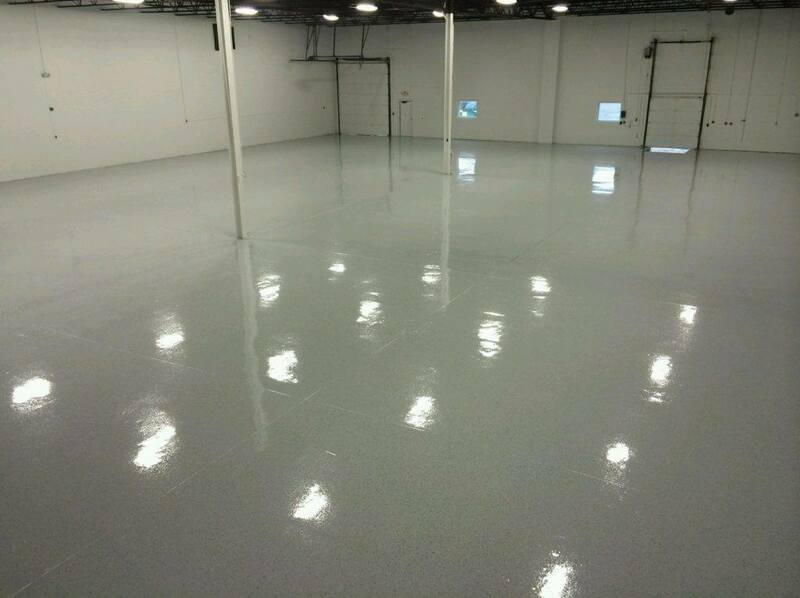 ​“We entrusted Orlando Epoxy Pros to refinish our garage floors with an epoxy coating and I’m glad we did! They were super friendly and professional and did the job perfectly. Our garage floors have never looked better!” – Chris T.
​To get in contact with one of our customer service representatives or to speak with a professional contractor about your ongoing project, you can easily get in contact with us through email or telephone. To contact us via email, simply fill in the contact form provided on our website and we’ll get back to you as soon as possible. If you’d like to speak with one of our representatives directly, you can give us a call on the service number listed on our website. We’re available 5 days a week during our hours of operation to answer questions and inquiries.